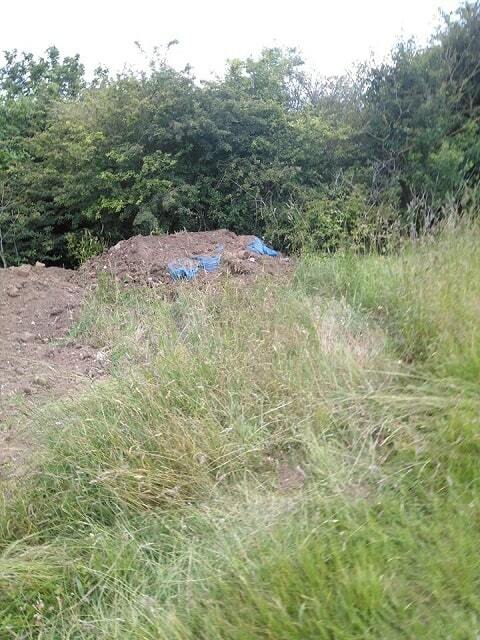 Travellers on an encampment at Dane Valley Green that has expanded from six to some 22 caravans over the weekend are flytipping soil on the site, says the ward councillor. Cllr Gary Taylor, who has photographed the group using a tipper on the far side of the green, said some residents are also now avoiding walking their dogs on the green because of vehicles being driven at speed on the site. The first of the group moved on to the green on Thursday (June 14). Thanet council carried out welfare checks and a notice to leave was due to be served. Since then more vans and vehicles, including tipper trucks, have appeared. Cllr Taylor said: “There has been flytipping of soil and cut down trees on the far side of the green after only a few days . If the group do not comply with the Section 77 Notice, Thanet council will need to apply to the court for an Order of Removal. Dane Valley Green was used by Travellers in April and on several occasions last year. Last June ward councillors Gary Hillman and Gary Taylor appealed to Thanet council for a ditch to be cut along the perimeter and the soil used to make mound, sewn with wild flowers, as a preventative measure. The pair have since been told this work would cost some £25,000. Cllr Taylor said residents are now asking for some kind of barrier to be constructed around the perimeter of the green. 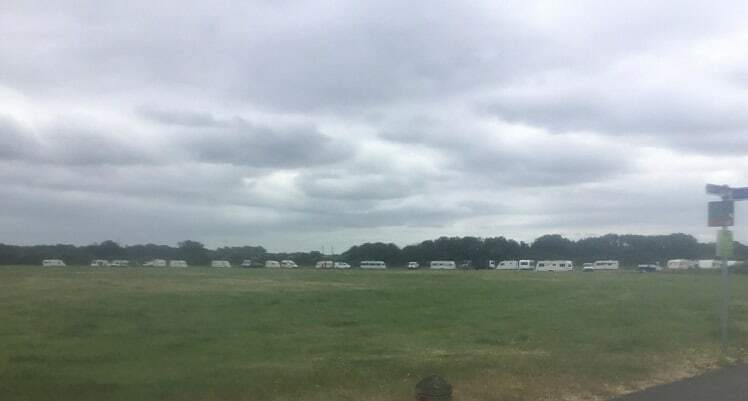 A Section 77 Notice to leave has also been given to Travellers currently using land at Ramsgate Port. A group settled by the Manston airport site appears to have moved on to Jackey Bakers in Ramsgate this evening (June 17). It is an offence for somebody subject to such a notice to fail to leave as soon as reasonably practicable or to re-enter the site within three months of the date on which the notice was given. The Housing Act 2004 and Planning Circular 01/2006, Planning for Gypsy and Traveller Caravan Sites, has put in place a framework which means every local authority has to identify land for the sites that are needed in its area. The Secretary of State has powers that can ensure that those sites are identified, and the Local Government Association (LGA) says local authorities should be proactive in doing so. The nearest authorised sites to Thanet are at Aylesham and Canterbury. What a joke. 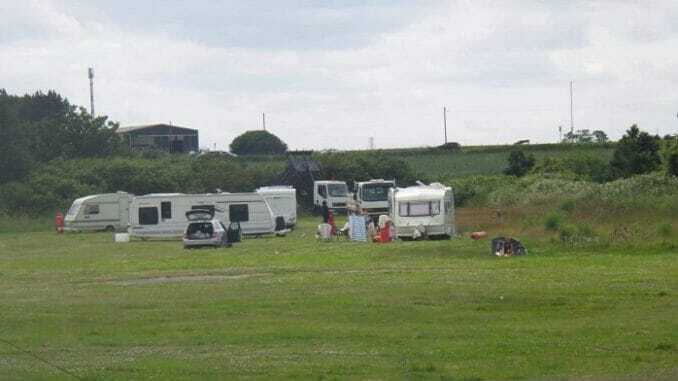 Most days there is a different article on travellers illegally staying somewhere in Thanet. The huge sums of money and effort it takes the council to sort is obscene and takes funding away from other vital areas such as social care etc. It is unjust and there is no financial support for the local authority, and our council tax is used partly. Often travellers leave the sites they inhabit full of rubbish and waste, but they get off scot free, all they have to do is move on. How is this just or right? I am prepared to part fund a barrier as suggested. I am willing to fund and carry out work, when can I start? It makes sense to get barriers put up at all the sites they return to time over time as all the clear-ups and court costs are draining the finances anyway. I would expect the authorities and police to immediately impound any vehicles being used illegally and anti-socially fly-tipping, etc. Could the local community not dig the ditch and the council pay for the tools. I would come and help !! It may cost £25k to erect barriers but how much more is the cost of Officer visits, legal action etc… to move these vagrants on? Give the travellers a site, and let them make as much mess as they want. Eventually they will run out of space – their problem. Area no one seems to care. Its been very frustrating week and a half Terry as one of the local Cllrs in Dane Valley. I personally did visit the Travellers and the site on numerous occasions as I’m certainly no cretin. Its up to the Government to pass stronger measures on Traveller incursions. Councils have to follow the law full stop . The Travellers have rights too. Today they have fined Travellers parking on the Dreamland site. Some area where they stay for a short term at a time is defiantly needed in Thanet somewhere. The Council should move on the site immediately and issue fines to the owner of the tipper truck for multiple fly tips, if they refuse to pay then remove or impound the vehicle so they can no longer use it. Its really not fair what they get away with. My daughter bf and 3 grandchildren under 7 was refused housing from tdc and has had to move all the way to Leeds to afford private housing. I was served eviction notice for having them living with me. Now I see them 2 -3 times a year for a week. Yet travellers get to sit their asses wherever they like for 3 to 4 weeks at a time before moved along and leave places in a real mess. Hahahahahahaha 😂 youre seriously deluded if you believed theyd actually leave, unless thats a new 20+ caravans/campers on green this morning????? About time now will the erect a barrier to stop the vermin # terry back again . If there is donation pot i will put some in .